Guided, incremental changes in processes. Examples are continuous quality improvement, Six Sigma, TQM, Lean etc. Such change is well understood, and effective organizations often introduce and manage this type of change to drive improvements. 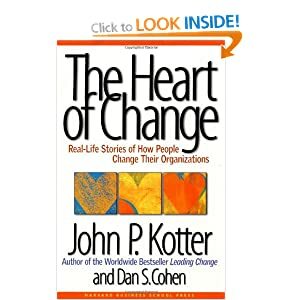 Larger leadership-driven changes are related to this category of purposeful, initiated change. The best examples here would be leadership of cultural change. When carried out organically, these change strategies have a fair to good chance of succeeding. However, large, extra-cultural changes such as acquisitions and mergers usually fail. Unpredictable, disjunctive change where there is a switch in some aspect(s) of the business environment that introduces new opportunities and/or threats. Prospectively, these are difficult to identify, but appear obvious after the fact. This type of change is disruptive, and new losers and winners often emerge. Having the ability to sense the change and the flexibility to make rapid adjustments may be the keys to success in this situation. Interestingly, this type of change may happen rapidly or slowly. Consider the rapid demise of the wind-up watch versus the slow motion train wreck that is General Motors. For some months, I have been working with a very capable young woman who is early in her career. A career usually has three stages, although much has been happening to change the nature of the final stage. The first stage is the apprenticeship. This stage begins when people complete their formal education and enter the “real world” where they learn how to do their jobs. Surprisingly, this first part of a career often lasts until the late 30s to early 40s. Then begins the journeyman stage of a career. These years are typically the most productive, satisfying and lucrative, and now may extend into the 60s and beyond. The last stage is really “preparation for life after work” and is changing so much that it probably deserves another post. This video is dedicated to you GenYs who are deep in this process. Last week we discussed the effects of a culture of blame. This week let’s look at the opportunities in a culture of blame. If you are a manager, it’s a great event when you move into a new job and follow a bad act. This creates an opportunity for you to be a capable, reasonable manager – employees will love the contrast. Suppose your predecessor was a blame-placer, what should you do? First, visit with your direct reports one-on-one. Drive the visit with questions. Scroll to page 9. First ask about them, then their jobs, then the organization and finally what they suggest you do? Listen, make notes and don’t blather. This will build a pattern of conversation and inquiry; it will give you a sense of the organization and build impressions of key people. Then, working through your managers, if you have any, develop a set of your expectations for the behavior of all staff and use these as guidelines on how to function. One of these should be “solve problems, don’t place blame.” You can use various means to distribute and discuss these but start with meetings. Blame-placers run terrible meetings. Flip-flop this dysfunctional style by developing ground-rules for your meetings such as: show respect, practice courtesy; start on time stay on task, end on time; and SOLVE PROBLEMS, DON’T PLACE BLAME. Then live by them and expect your managers, if you have any, to do so also. Don’t underestimate the power of effective meetings. I once worked with an executive who used effective meetings to change the culture of a company. For a lot more on this topic check out Beyond Luck. Every Wednesday I will be in your email. Take 3 minutes and read.